On 6 Feb 62 at 9.00-12.00 hrs. College of Film Performing arts and new media Organized a committee meeting of the College of Film Performing arts and new media Education Center, Nakhon Pathom Province No. 1/2562 with Assoc. 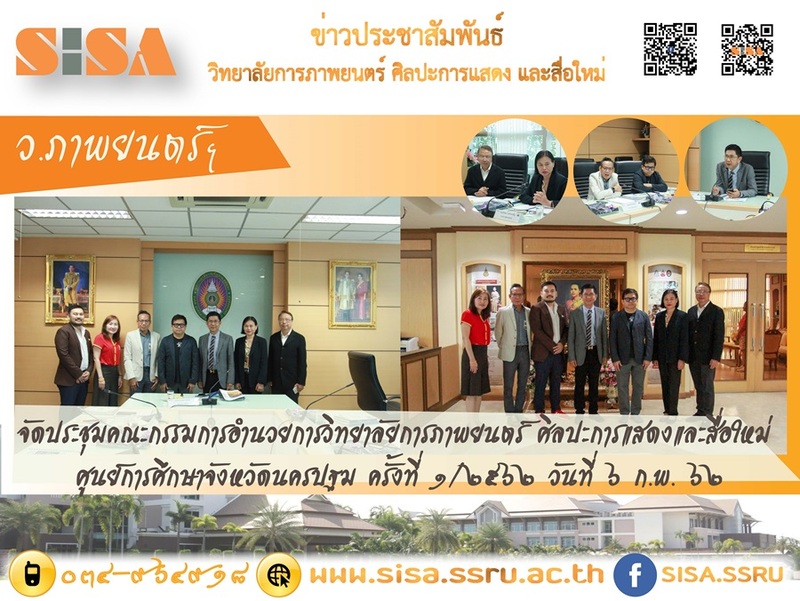 Prof. Dr. Reudej Kerdwichai, President of the conference And external experts Was honored by Khun Nonsea Nimibut, Khun Prajya Pinkaew Khun Yingyong Athisirikul, Khun Passakorn Hutavanich and Khun Angkhana Wongprasert, to drive the performance in the College of Film Performing arts and new media Fiscal year 2019 at the Office of the President's Office, 5th floor, Building 32, Suan Sunandha Rajabhat University.